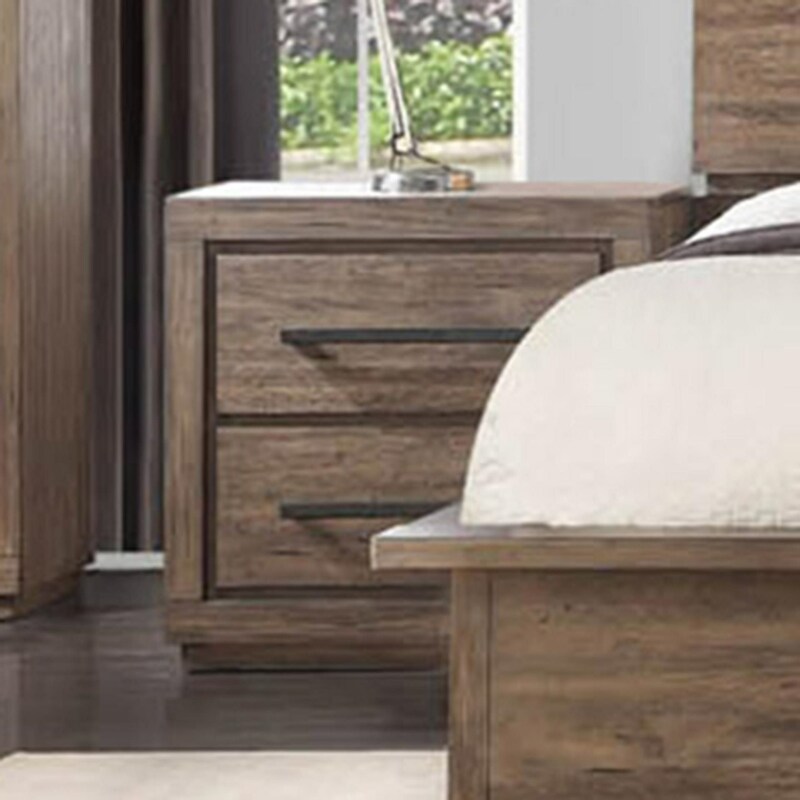 Transform your space from "bedroom" to "oasis" with the beautiful Haven collection. The light wood finish pairs beautifully with light, bright neutral accents to embody an airy aesthetic. This alluring Haven nightstand is the quintessential bedside companion. Wireless charging capability keeps your alarm clock, phone, tablet, or smart watch at the tips of your finger without requiring unsightly cords and tangled messes. The Haven Nightstand with Hidden Wireless Phone Charger by Austin Group at Great American Home Store in the Memphis, TN, Southaven, MS area. Product availability may vary. Contact us for the most current availability on this product. The charismatic Haven collection seamlessly melds industrial flair, minimalist charm, and modern convenience. The low-profile platform bed gives any bedroom an open feeling, making it an ideal way to maximize smaller living spaces. Smooth, crisp lines and subtle detailing throughout every piece in the collection invite peaceful relaxation without sacrificing beauty. The Haven collection is a great option if you are looking for Contemporary furniture in the Memphis, TN, Southaven, MS area. Browse other items in the Haven collection from Great American Home Store in the Memphis, TN, Southaven, MS area.